Admit it: you love arriving home from work to find the latest issue of your favourite magazine, a handwritten letter or, better still, a carefully wrapped parcel waiting for you in your letterbox. There’s just something inexplicably satisfying about receiving a tangible treat now and again (even if it was you who paid for it…). This (very human) propensity for the physical is just one reason why subscription box sites are currently prospering. Other reasons include: convenience, a curiosity to see what’s out there and a desire for something new. According to a recent report by Hitwise, visits to online subscription retailer sites rocketed from 722,000 visits in 2013 to over 21.4 million in January 2016. This confirms that the subscription box model is becoming increasingly attractive to consumers; question is, what can the rest of us learn from its recent success? After doing our (subscription) homework, we came up with 10 surprising marketing tips from subscription box sites that we can all benefit from. Subscription box sites are still a relatively niche and new concept, so not every visitor will understand how it works and what to expect. 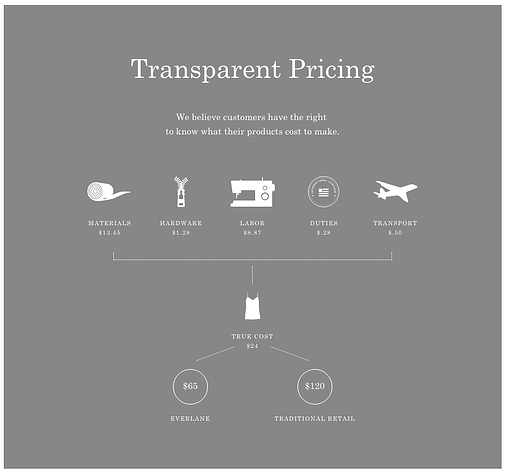 Consequently, subscription services are opting for a prominent “How It Works” section right on their homepage. 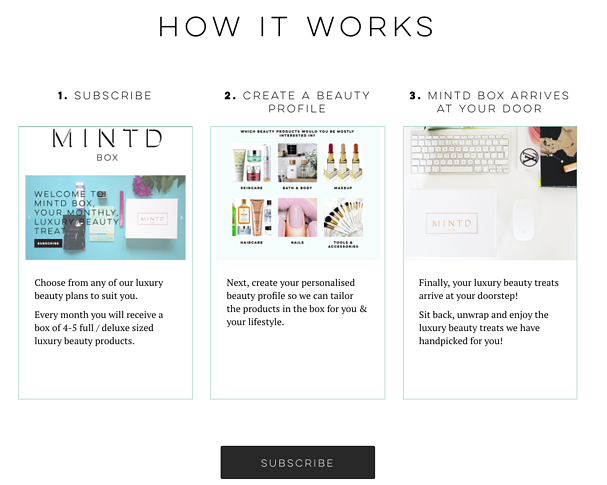 Mintd Box, a luxury beauty service delivering handpicked boxes every month, uses an oversized header to grab a new visitor’s attention before breaking the stages of the subscription process into three simple steps. This structure makes the information more digestible and easier to understand. Another good example comes from Glossybox, a subscription service delivering five “must-have beauty products” straight to a member’s door every month. As you can see, Glossybox’s version is notably more visual, opting for less copy and more images in its attempt to communicate how it all works. This could be a good approach for those targeting any skim-readers on their site. One brand taking a slightly more quirky approach to both of these examples is the one and only Dollar Shave Club. Just because someone signs up to your brand’s newsletters, it doesn’t mean they now understand exactly how it works and how it will benefit them. The sovereign of subscription boxes, Birchbox, not only explains how it works and why it’s worth signing up to on its website, but also via its email marketing. The below email, headed “5 reasons to love Birchbox”, takes a new subscriber through the main reasons why the service is so special, finishing off with a nice and concise CTA “Get your box”. 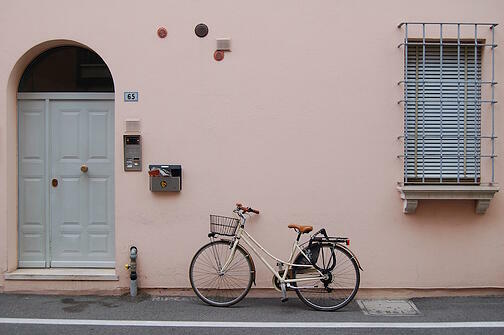 Brownie points for the alluring colour palette and polaroid-style images. Take-away: Even after a visitor has signed up to your newsletter, don’t assume they know everything there is to know from the information on your site; it’s important to communicate your brand selling points and identity as quickly and succinctly as possible in your email marketing too. Some subscription services base their entire premise on delivering products that are a total surprise; however, for those that want to focus more on getting their products “right” it’s useful to incorporate a customer quiz into the overall subscription process. One site doing this is Mac & Mia, the “online personal stylists for children’s clothing”. With the goal of providing customers with stylish kids clothes but without the shopping, Mac & Mia have a team of personal shoppers on-hand to pick bespoke items for each child. The style quiz is extremely thorough, moving beyond the basic set of questions to ask whether there’s anything the service should avoid including in a delivery. Another subscription box site asking new customers to first take a quiz is Fabletics. Co-founded by American actress Kate Hudson, the site specialises in selling one of today’s most coveted fashion verticals: athleisure. Unlike Mac & Mia’s, Fabletics’ quiz focuses more on a subscriber's lifestyle and sporting habits, requesting information such as their favourite sport, colours that “get them moving” and their body shape. Take-away: A customer quiz can be just as effective for stores with a traditional ecommerce model. In a market where personalisation is key, the more a brand knows about a customer, the more relevant their marketing correspondence can be. On the back of the point above, for many subscription services personalisation really is key. 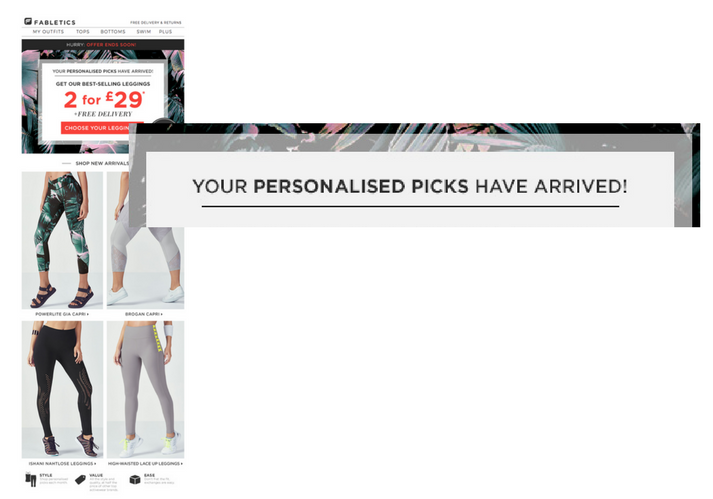 Once a Fabletics subscriber has taken the “fit quiz”, they’re sent a follow up email with their very own “personalised picks”. Take-away: Thanks to technology such as Ometria, consumers are now accustomed to a truly personalised service. Even if you don’t want to use a quiz, you can use all of the data available to ensure your customer’s experience is as bespoke and helpful as possible. For more advice on how to go about personalising your newsletters, check out this blog post. Subscription box sites seem to always have a particularly pretty and neat Instagram account. This could be because, thanks to the uniformity of their product (a box), it makes it easier to adhere to a specific style that makes a profile instantly recognisable. 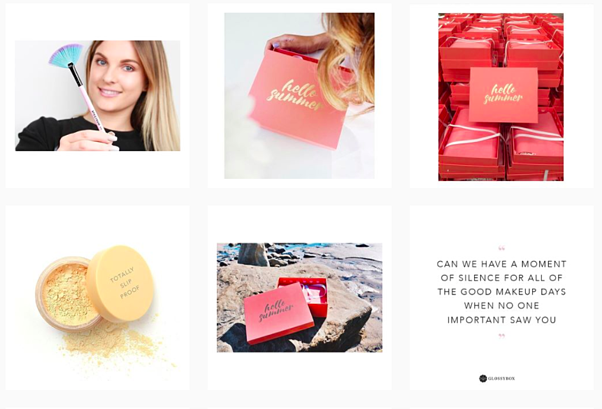 Glossybox also uses social media to remind followers how the service works and promote its product offering (check out thisInstagram video to see what we mean). Take-away: If you’re not already, think about your brand’s branding guidelines and apply them to your social media profiles. This will strengthen your brand image and make your accounts instantly recognisable. 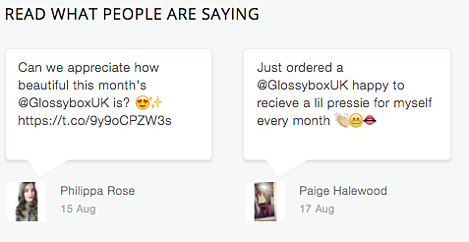 As well as bossing its own social media profiles, Glossybox uses any user-generated content found online as social proof. For example, the box below entitled “Read what people are saying” can be found in the “join us” section of the site. Another subscription service cleverly using UGC as a powerful marketing tool is Box of Style: the luxe subscription experienced curated by American fashion designer Rachel Zoe. Towards the bottom of the site’s homepage is a montage of Instagram snaps from members, using the dedicated hashtag #boxofstyle. 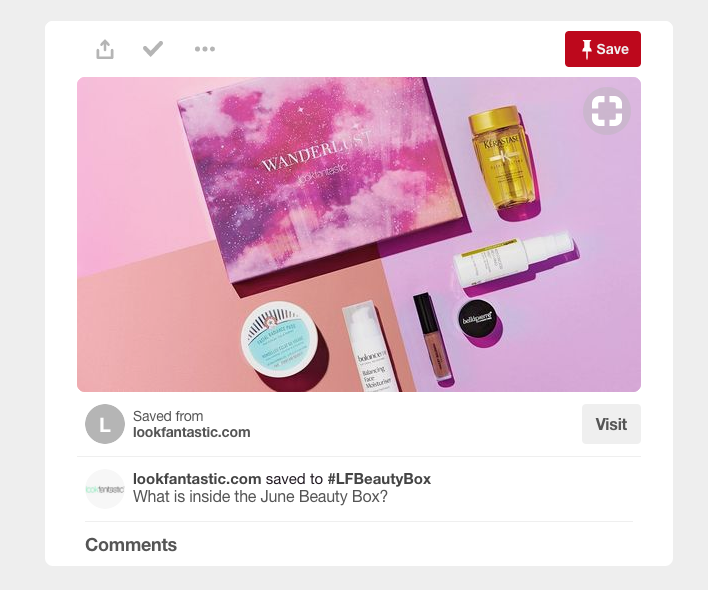 By asking members to “join the conversation” and tag their posts, Box of Style manages to show how the products it delivers customers can be best styled. Take-away: For more inspiration about how your ecommerce store can make the most of not just UGC but also influencer marketing, we recommend this blog post on ASOS and its genius “ASOS Insiders” initiative. But it’s not just social media enabling subscription sites to interact with members and reach out to prospects in a more informal, engaging way, but also blogs and online magazines. Glossybox’s digital publication, Beauty Unboxed, offers an eclectic range of content. From horoscopes to make up ideas to product-related posts (e.g. this one on “ways to reinvent” a delivery box), it makes for a genuinely good read and helps to give Glossybox more credibility. Take-away: One of the biggest ecommerce marketing trends predicted for 2017 was content marketing. Check out this blog post for our latest analysis of editorial-first ecommerce. To check they are managing to hit the mark, subscription services (like ecommerce brands) tend to ask members for feedback via email. 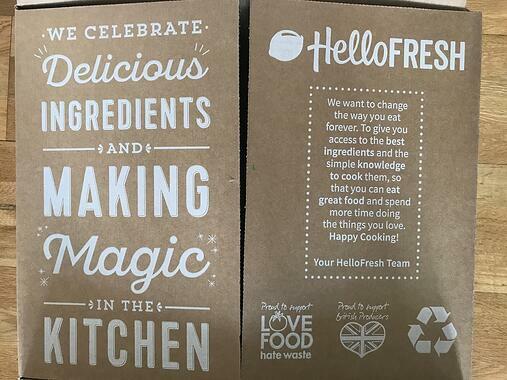 One service doing this particularly well is HelloFresh. 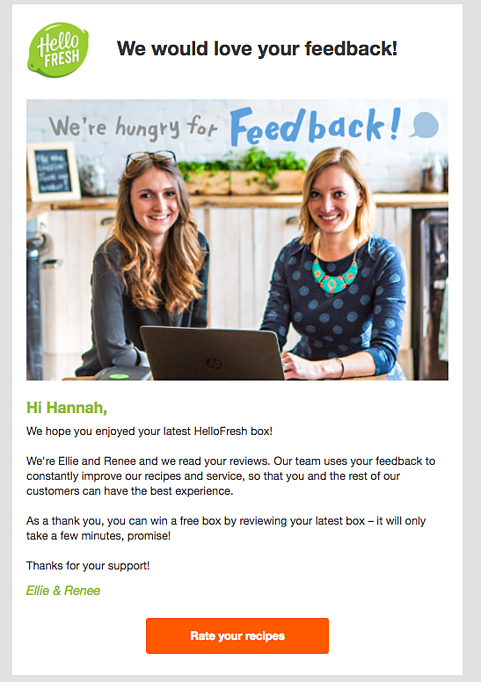 What’s really great about this email is that it explains *why* they ask for feedback and how the customer benefits. Moreover, it’s also made more personal by signing it from the people who read the reviews: “Ellie & Renee”. Take-away: Make your feedback requests more interesting by explaining how the feedback will help you, and sign it off from the person who reads the feedback. Based on a business model that places premium on delivery, presentation is seriously important for subscription boxes if they want to do well. Beauty Box provider LookFantastic offers particularly beautiful packaging, as demonstrated in the below Pinterest board, which is devoted to its boxes. Take-away: For brands that have a distinct message to spread or a strong corporate social responsibility, packaging is a useful way to remind customers of what you stand for. Offering customers a subscription service of small “testers” is also a powerful way to start making sales on full-size products. Birchbox is the perfect example of this, as, in addition to its boxes full of goodies, it also plays host to a traditional ecommerce store. As demonstrated in the email below, the subscription box and ecommerce shop can actually complement and promote one another in innovative marketing campaigns. But even if the subscription box model is not for your ecommerce brand, all of the above ten tips can easily be applied to ecommerce marketing strategies in general.